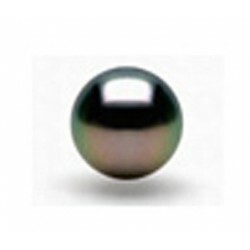 A loose 9.5-10mm round Tahitian pearl. Pick the pearl's nuance and if and/or how you want us to pierce it. 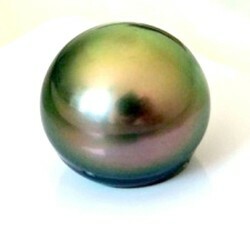 Tahitian cultured pearl, 11mm AA+ qualityDisclaimer: pearls entirely pierced through are only returned for store credit.All our loose pearls come in a jewelry bag along with a GIA authenticity certificate. 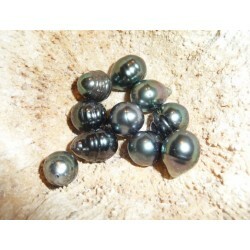 A loose 10-10,5 mm round Tahitian pearl. Pick the pearl's nuance and if and/or how you want us to pierce it. Tahitian cultured pearl, 11mm AA+ qualityDisclaimer: pearls entirely pierced through are only returned for store credit.All our loose pearls come in a jewelry bag along with a GIA authenticity certificate. A lot of ten circled Tahitian cultured pearls. Pick if and/or how you want us to pierce it. Circled Tahitian cultured pearl, 9-10mm AA qualityDisclaimer: pearls entirely pierced through are only returned for store credit.All our loose pearls come in a jewelry bag along with a GIA authenticity certificate. 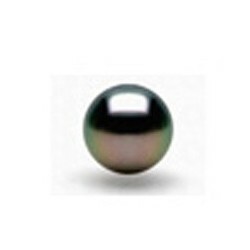 A loose 12-12.5 mm round Tahitian pearl. Pick the pearl's nuance and if and/or how you want us to pierce it. Tahitian cultured pearl, 12-12.5 mm and of AA+ qualityDisclaimer: pearls entirely pierced through are only returned for store credit. All our loose pearls come in a jewelry bag along with a GIA authenticity certificate. 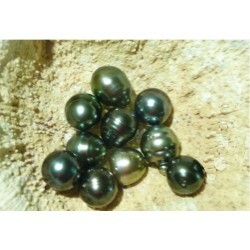 A lot of ten circled Tahitian cultured pearls. Pick if and/or how you want us to pierce it. Circled Tahitian cultured pearl, 11mm AA qualityDisclaimer: pearls entirely pierced through are only returned for store credit.All our loose pearls come in a jewelry bag along with a GIA authenticity certificate.